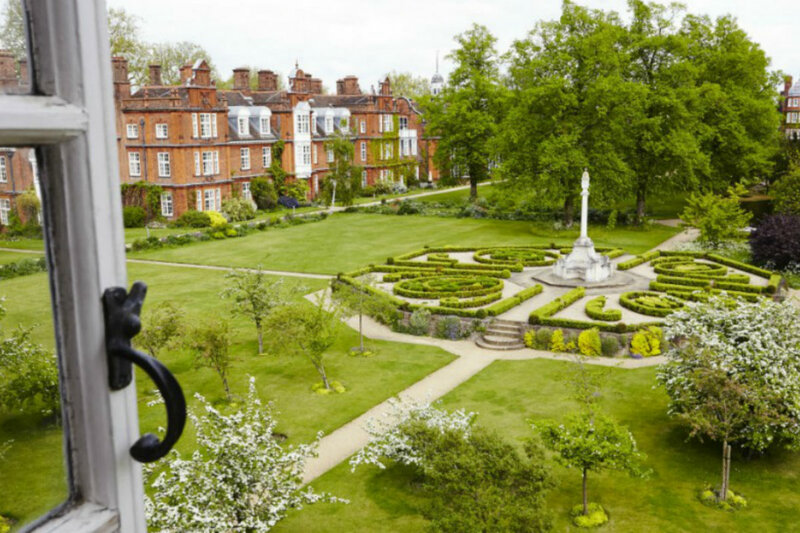 Take a descriptive and photographic tour around Newnham’s stunning gardens. 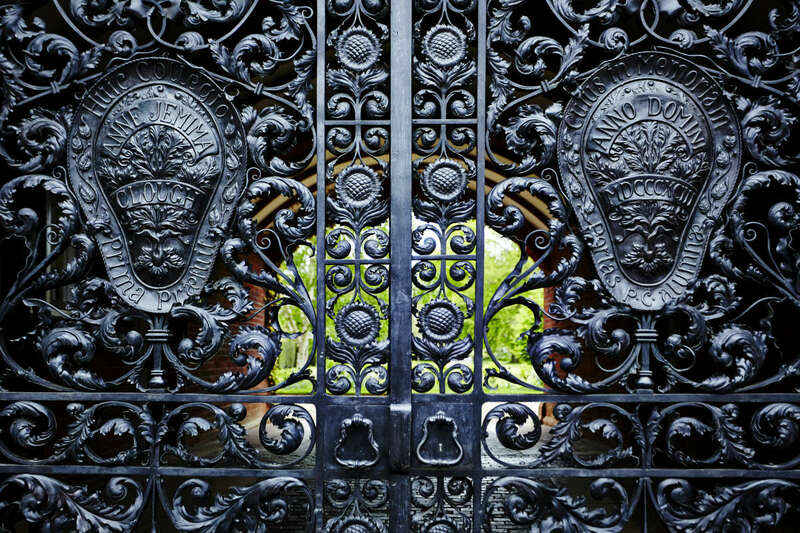 We start the tour at the ornate Clough Gates under the Pfeiffer Arch at the end of Newnham Walk. 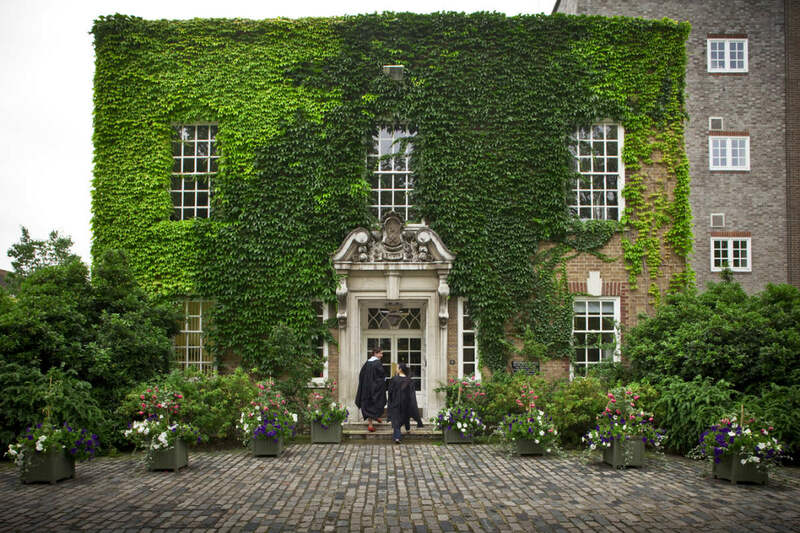 Walk under the archway and find yourself in another world, Newnham’s secret garden. 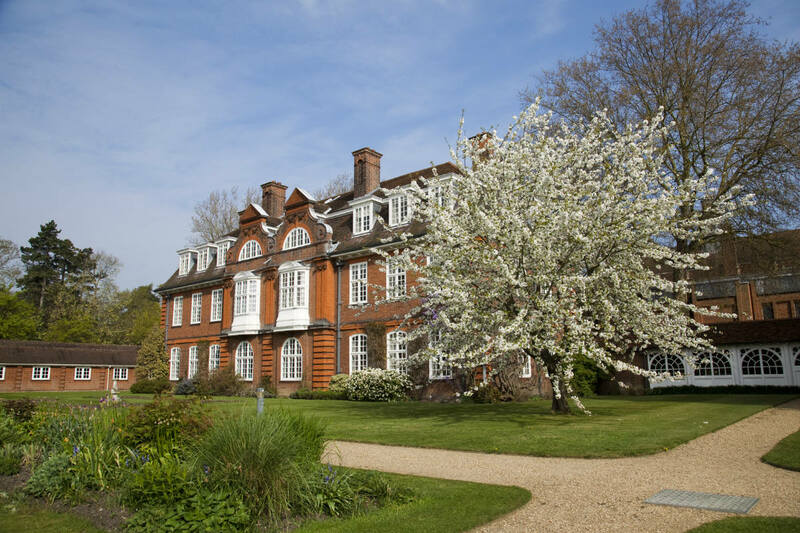 Set in 17 acres, the main site is divided up into large lawns, wild flower areas, herbaceous borders and formal gardens. Directly in front of you as you come out from the Pfeiffer Arch, is a rose border planted with white Iceberg roses and underplanted with black tulip, “Queen of the Night”. In June the border is full of white foxgloves (Digitalis excelsior alba). 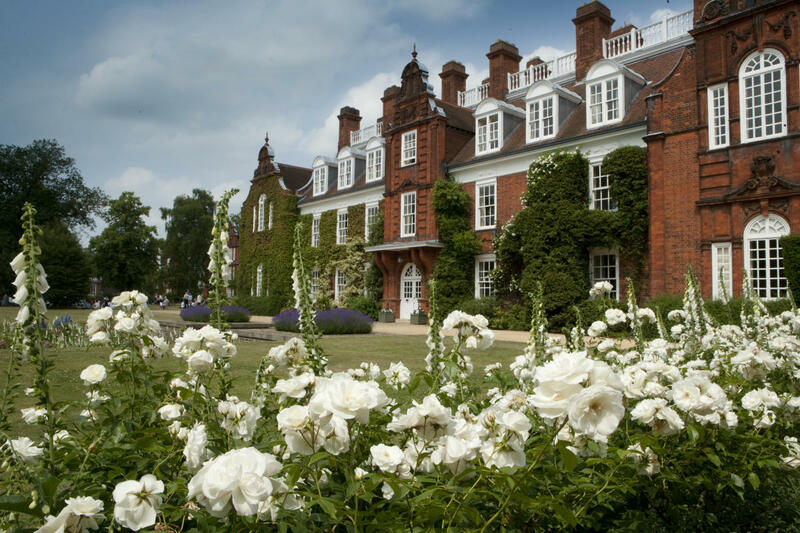 Behind is the sunken rose garden with its formal pool and to the right is Sidgwick Hall. Steps lead down to the sunken rose garden with its formal pool. This was dedicated as a memorial to Henry Sidgwick, with a carved inscription in the coping stones by Eric Gill: “The daughters of this house to those that shall come after them commend the filial remembrance of Henry Sidgwick”. In the warmer months you will find groups of students sitting on the lawn or the steps, some reading, some just sitting. 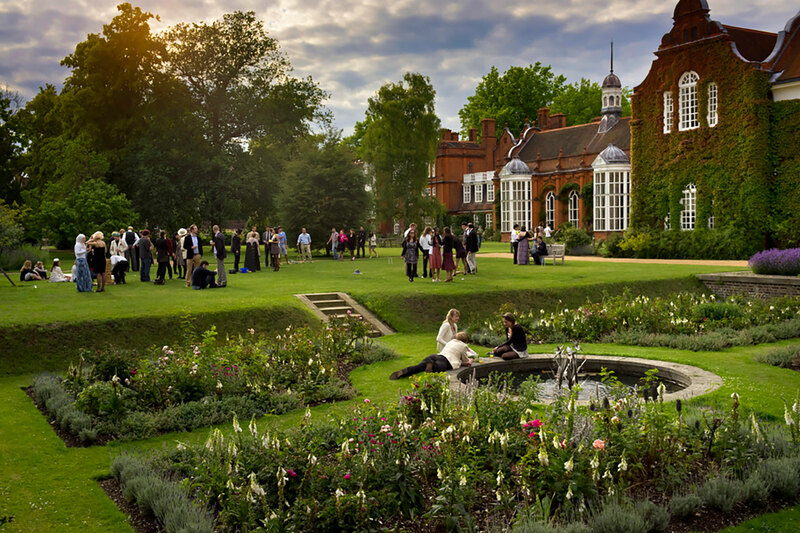 It is also a wonderful location for the annual garden parties that take place during May Week. In the borders there is a selection of modern shrub roses under-planted with spring flowering tulips “Maytime”, Verbena bonariensis and English marigolds. The borders are edged with lavender (L. Vera). Cradling all except the playing fields is a series of Queen Anne buildings. 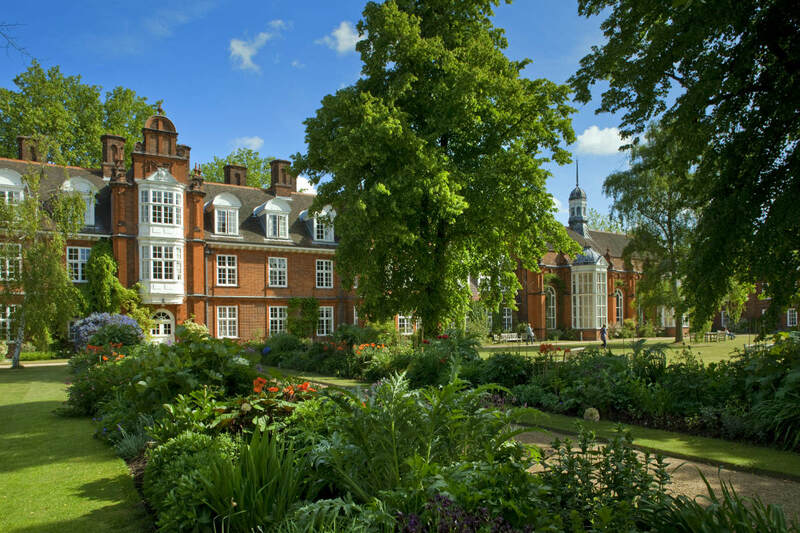 You are now in the heart of the Newnham College main gardens. As you walk on you will approach Clough Dining Hall on the right. Clough Hall is the mid-point of the main gardens, between Old Hall and Peile Hall. Raise your eyes to the trees studding an immense lawn. 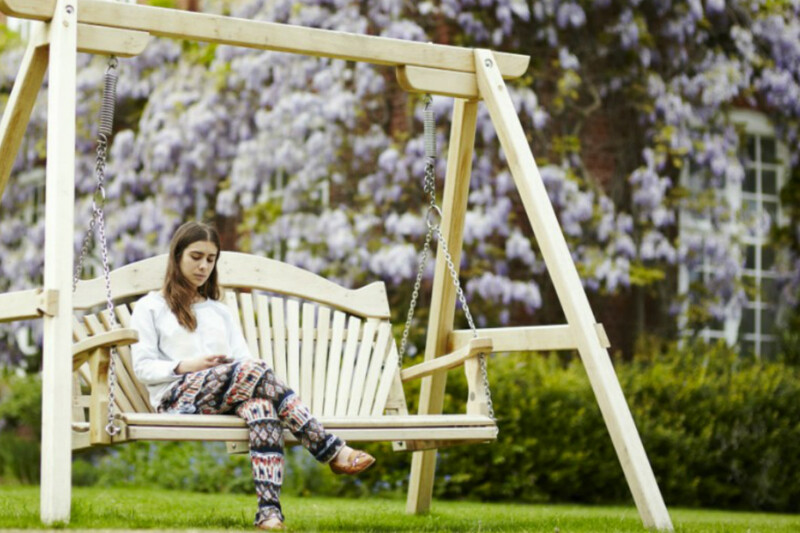 In term time, students can be seen on garden seats or lying on the grass. In the centre of the garden (opposite Clough Hall) there is a row of European limes (Tilia sp). Also there is an English Oak (Quercus rober), which came from the Hawarden Estate, as a gift from William Gladstone (then Prime Minister) in 1887. Other trees include a cutleaf beech (Fagus sylvatica heterophylla), a mulberry (Morus nigra, seedling from Christ’s), a Liquidamber and a number of mature English yew trees (Taxus baccata). Clough herbaceous borders run down either side of a path leading away from the main buildings. They are planted with a wide selection of herbaceous perennials; more notable species include cardoons (a type of artichoke), giant alliums, peony Paeonia mlokosewitschii (Molly the witch) and orange oriental poppies. 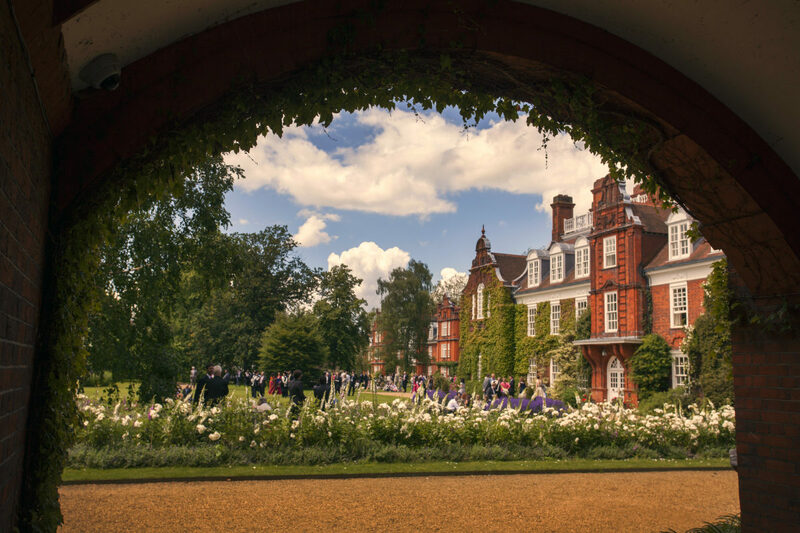 These borders are designed to be at their peak during May and June each year, ready for graduation and the celebrations that will take place in the gardens at the end of exams. Between the borders a Magnolia soulangiana Alba has been planted, framed by Yew hedge. Carry on past the Kennedy building with the Kennedy herbaceous borders in the foreground. You have now reached Peile Hall at the Grange Road end of the main garden. During April and May, Peile Hall is covered in a beautiful and fragrant Chinese wisteria. To the left of Peile Hall is a swing seat on which the students and visitors can enjoy the view back at the Mound and the vast lawns surrounding Peile. The Observatory was moved from the Mound in 1915 to make way for the four-sided stone seat and sundial that is a memorial to Mrs Sidgwick, the first Principal. The knot garden was designed by the Head Gardener with Garden Committee in 2009. Money for this project was raised from the College Alumnae. 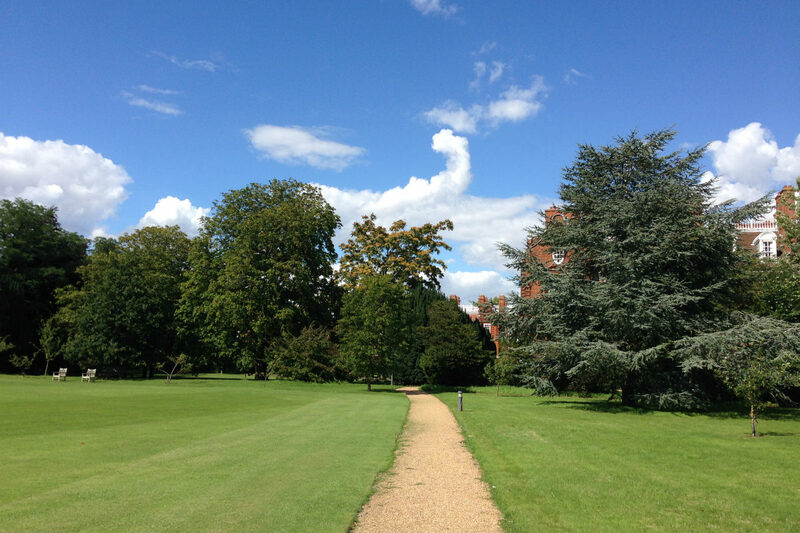 From the Mound, continue towards the south boundary of the Colleges garden towards the Old Laboratories (the Old Labs). The curling paths between Old Hall borders and the Old Labs are the remains of a Victorian shrubbery. Surrounding the Old Labs is a wild flower garden that is full of bulbs that give a succession of flowers from February to July. Running west from the back of the Old Labs is a woodland Nutwalk. 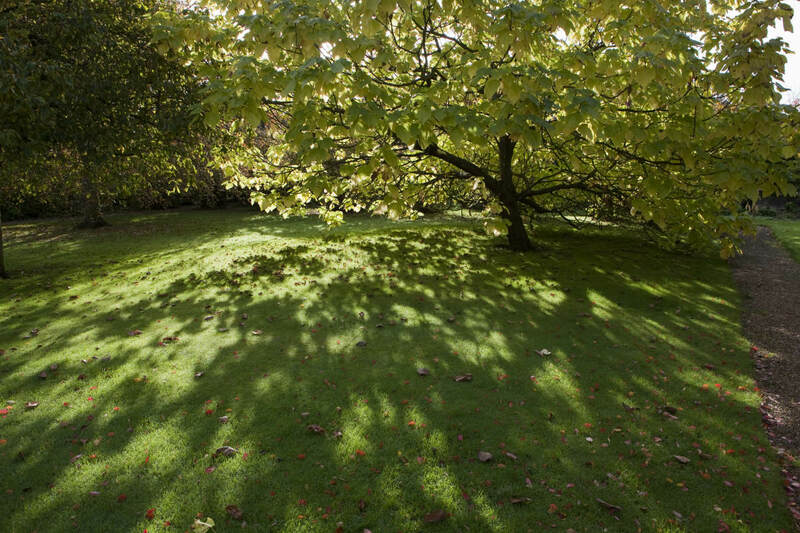 With copiced hazels on either side, the Nutwalk contains plants that can tolerate shade, including ferns, and bluebells in spring. Each tree in the garden has a unique tag which is used to record information about the tree in the College Tree Register. 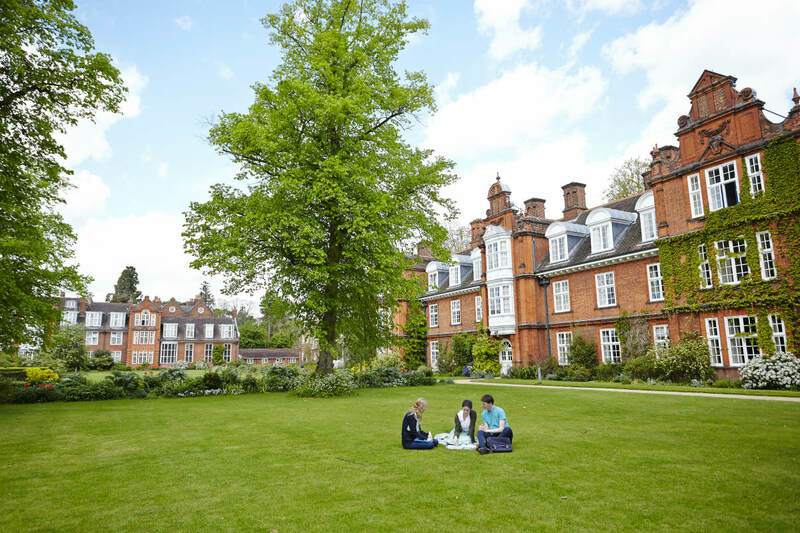 Newnham is fortunate in having its own sports field on the main site. Students regularly play hockey, football and lacrosse and use the tennis courts at the far end of the field. At the far end of the playing field is the Observatory, housing a telescope that can be used by students for sky watching. 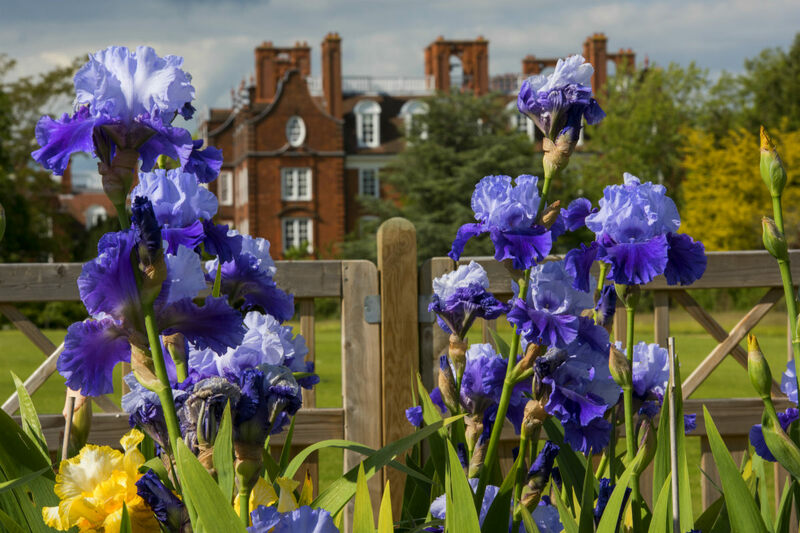 Around the Observatory are newly planted borders of Newnham’s unique collection of bearded irises. 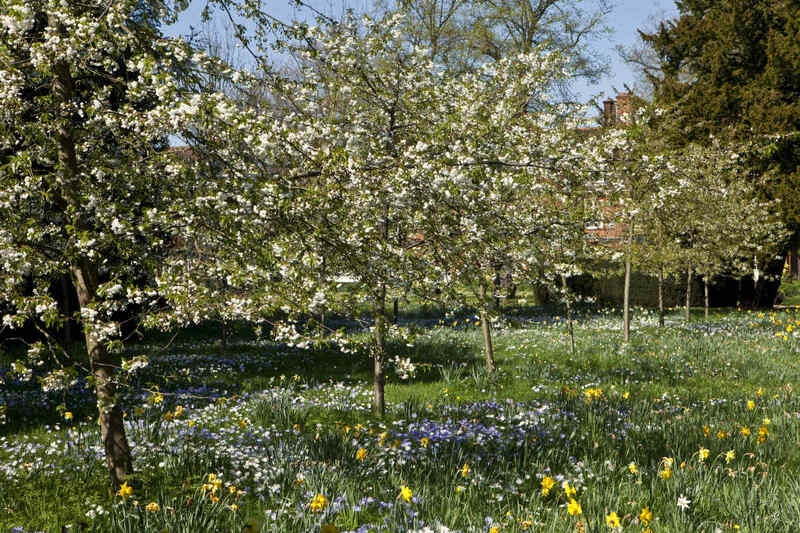 The first four Newnham Irises are named Henry Sidgwick, Anne Jemima Clough, Old Hall and Peile Hall. The iris collection was developed as a collaborative project between the Garden Committee and British Iris breeders Barry Emmerson, Simon Dodsworth and Gary Middleton. The iris borders contain irises from the Newnham Collection, as well as many named varieties that were donated by the breeders. A view from the tennis courts back up towards the main gardens shows a wonderful selection of Chestnuts, Copper Beech, Himalayan Birch, Tree of Heaven and the College Centenary Tree, a Blue Atlantic Cedar planted in 1976. Through the Chestnut trees at the top of the sports field you get a glimpse of the Old Hall herbaceous borders. To the right of the path running along the east side of the playing field is the memorial orchard, containing a variety of fruit trees. These are mainly heritage varieties of apples and pears. 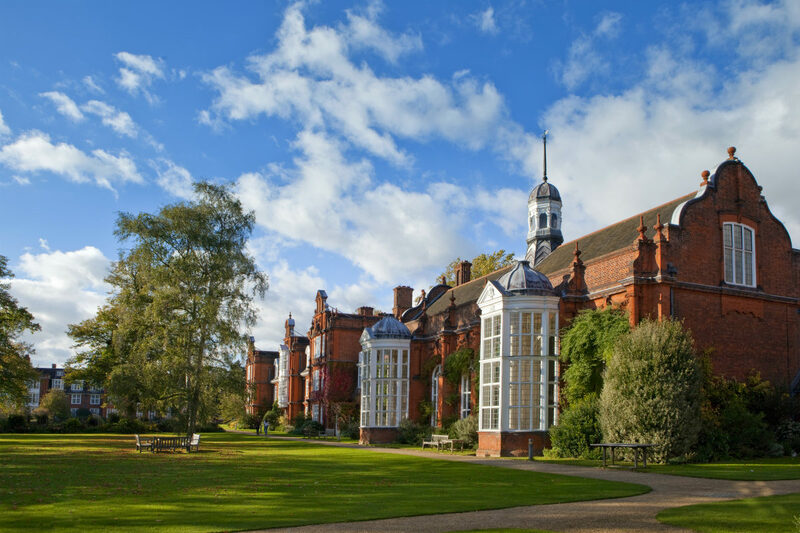 If you want to know more about the history of the buildings and garden there are two booklets available at the Porters’ Lodge: The Making of the Gardens, by Jane Brown; and The Architecture of Basil Champneys, by David Watkin.